Nothing captures our imagination like a mystery, and there is nothing more mysterious than a missing piece of art. How can something so well-renowned simply vanish into thin air? How can a person or group of people keep something secret and hidden for such a long time – especially when there are so many people trying to find it? In this article we’re going to look at some of the most famous and intriguing cases of art theft from across the world, and why they capture so much of our imagination. This piece is so nice it’s been stolen twice. The first time was in 1977 from the Mohamed Mahmoud Khalil Museum in Cairo, and for the second and most recent time in 2010 from the same museum. There have been many leads, but as of yet, no one knows where the painting is. Considering it took an investigation spanning over 10 years to find the painting last time, it looks like the painting might be lost forever. One of the biggest art thefts in recent history, in October 2012. 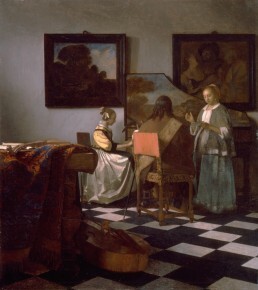 The museum was closed for seven days after seven paintings were stolen from the Kunsthal in Rotterdam. The theft included works by Monet, Picasso and Freud, and none have ever been recovered. 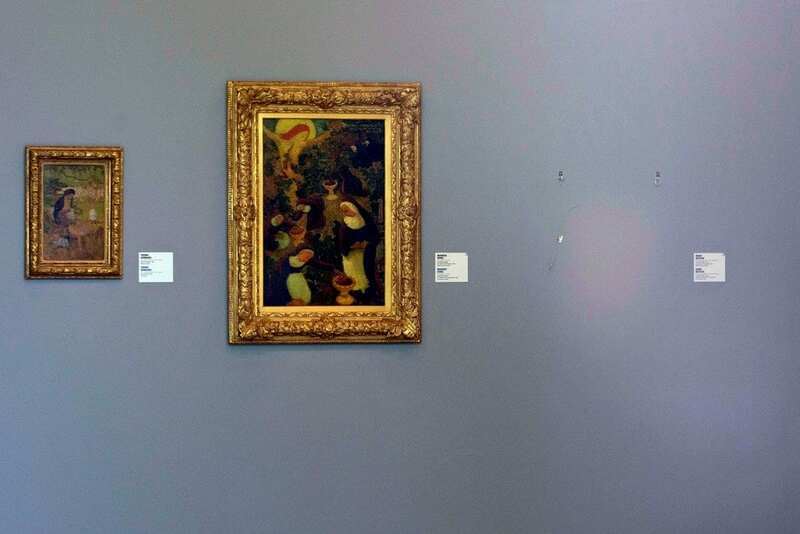 Even though the robbers themselves have been located and some of them arrested, they won’t give up the information needed to locate the paintings. A mother of one of the thieves claimed she had burnt them in her fireplace to hide the evidence – so these priceless works may well be long gone. Before the Nazi invasion of Poland, several high-ranking members of Polish society took in paintings from the largest galleries around the country, in the hope of keeping them safe from the Gestapo. 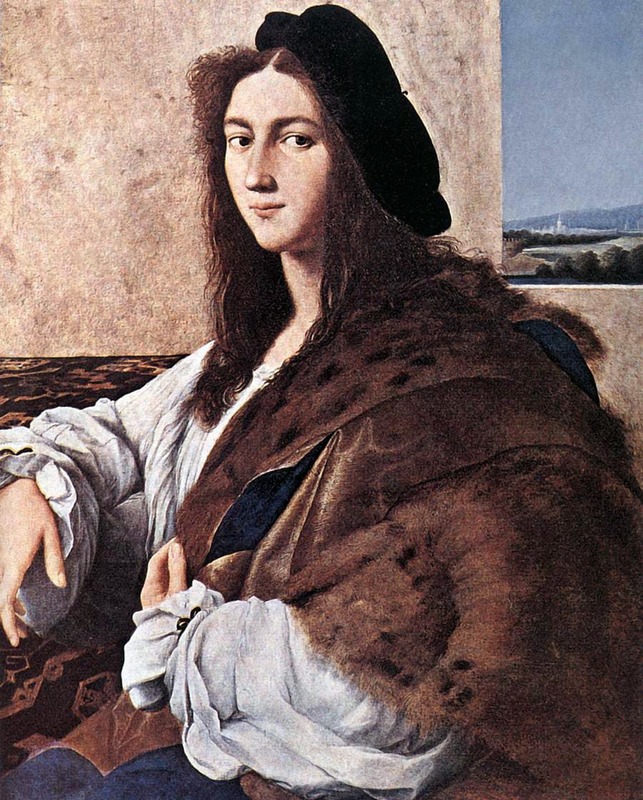 Raphael’s painting, along with a few others, were eventually discovered and taken first to Dresden and then back to Krakow in Poland. 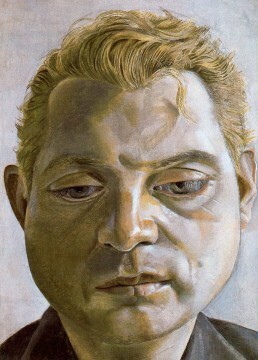 At the end of the war a large collection of stolen art works were seized by Allied forces, but Portrait of a Young Man was nowhere to be found. The Polish government has claimed it knows the painting survived the war, but it’s whereabouts are currently unknown – this painting has captured imaginations so much it starred in the 2014 film The Monuments Men, starring George Clooney. 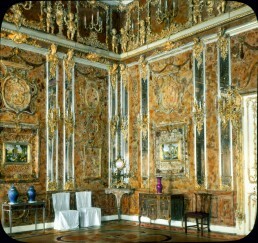 During the German invasion of the Soviet Union in the Second World War, the Soviet government made the decision to hide the Amber Room behind plain wall paper in Catherine Palace, in the hope of it evading removal by the Nazi’s marching on Leningrad. This plan failed, and by 1941 the room had arrived in East Prussia, where it supposedly remained for the rest of the war. 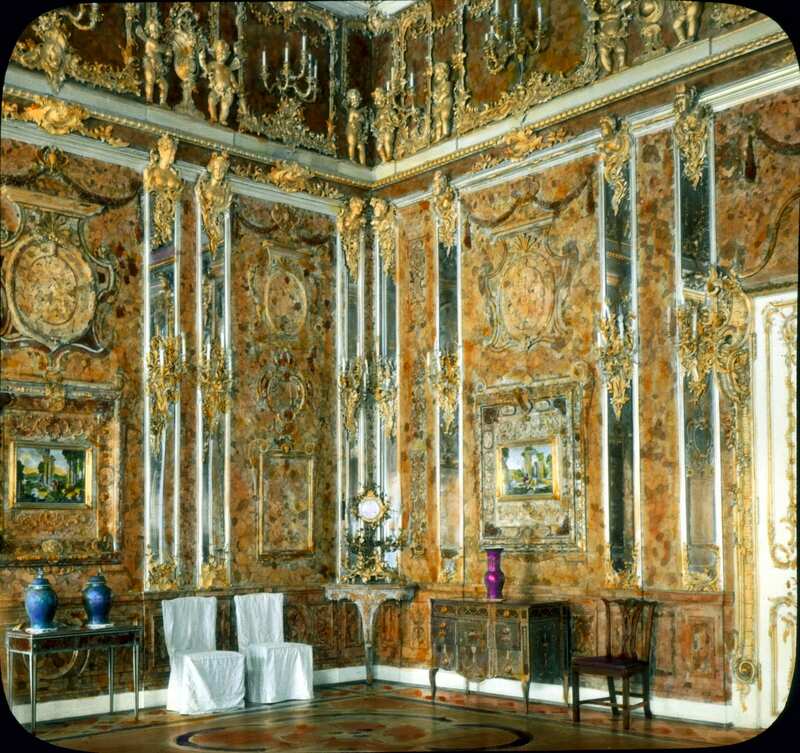 The Soviet’s had judged the amber and ornate décor that lined the room’s walls to be too brittle to remove themselves, so the fact the room made it this far was incredible enough. What is even stranger is that the room was never seen again after the end of the war – though parts of the flooring have been found with soldiers involved in its removal – despite claims from various people that they have seen the room in locations across Germany, its location remains a mystery. 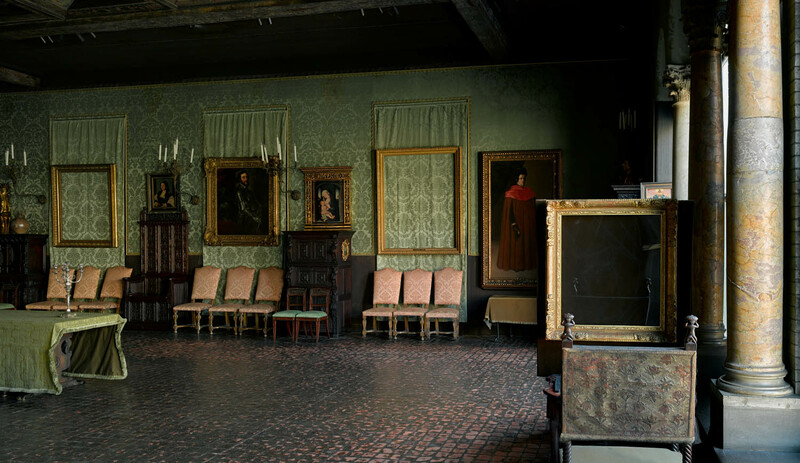 Another famous (almost $500 million’s worth) art heist took place in 1990, at the Isabella Stewart Gardner Museum in Boston. One of 13 paintings stolen during this incredible event was Vermeer’s The Concert, which holds the record for being the most valuable unrecovered artwork in the world. The painting has had quite a mysterious history as its location went unknown for over 100 years before it went on display in the museum in 1906. 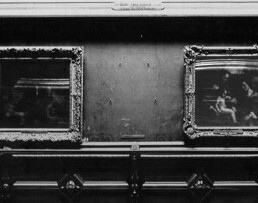 The FBI think they have leads on the location of the works that went missing that day in 1990, but for now empty frames hang in the gallery in memoriam for the pieces that used to occupy that space. Inlaid with mother of pearl and precious woods, and over six metres square in size, Caravaggio’s depiction of the nativity scene is one of the most famous religious artworks in the world. Numerous attempts had been made to steal his work, but this theft is a story worthy of a film script. 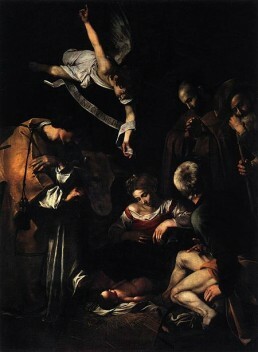 The painting was stolen from above an altar in the Oratory in Sicily and police believe it must have been removed from its frame in order to transport such an enormous object unseen. A lot of speculation surrounds the painting’s fate, including mafia involvement, an earthquake or even that the painting was destroyed during the theft in 1969. 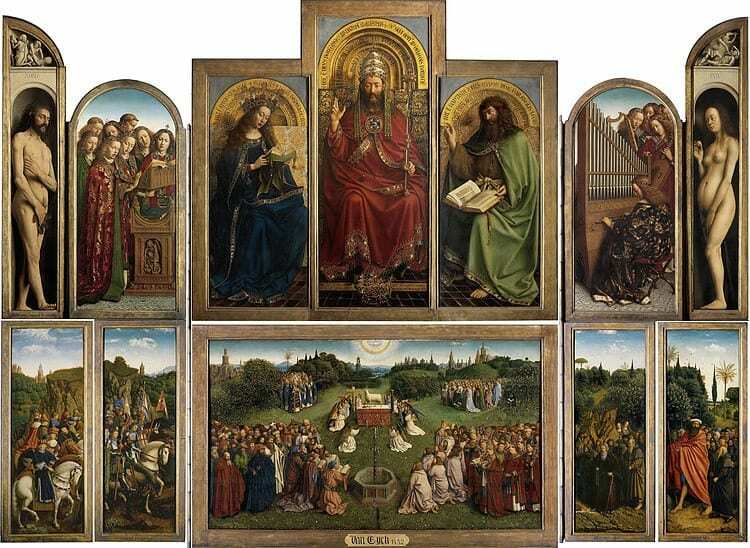 The Just Judges is one panel in an altar piece entitled The Adoration of the Lamb that Van Eyck created with his brother Hubert, which resided in Ghent, Belgium. 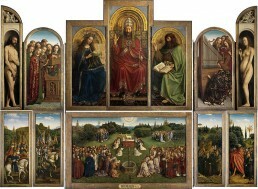 The lower left panel of the polyptych was stolen in 1934. To steal only one panel is strange enough, stranger still was the note left behind (it read: ‘Taken from Germany by the Treaty of Versailles’) and the ensuing communication between the Belgian government and the supposed thief. A deathbed confession by the thief followed, but unfortunately he only admitted to knowing the location of the panel, and confirmed he would take that information to his grave. The panel has since been replaced with a replica. 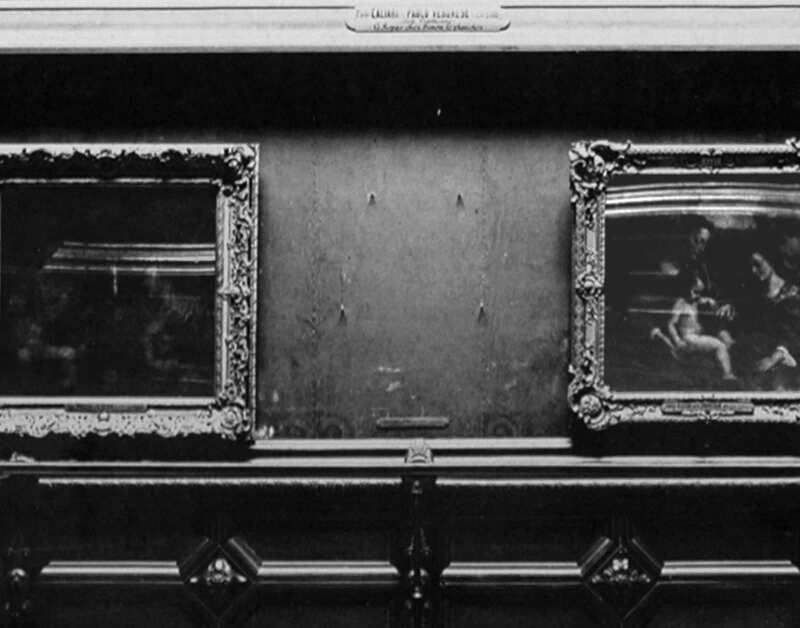 Two of the most famous names in the art world and an unrecovered painting? Art lovers across the world should know about this infamous crime. Freud himself designed a ‘WANTED’ poster in the hope of recovering the painting, but it is suspected that a fan of the two stole this artwork as a memento to their heroes, and it’s very unlikely it will ever be recovered. A tribute to their intimate friendship, the painting is as much a personal loss as a professional one. It is obvious that there is something incredibly exciting about a missing work of art, more than anything, it feels as though something seen and watched by so many people should be safe and at least, difficult to lose. According to the FBI, around 50,000-100,000 artworks are stolen worldwide annually with only a 5-10% retrieval rate. In the case of the Nazi seizure of art from occupied countries, The Monuments Men continue their work to return those pieces to their rightful owners, or at the very least find out what happened to them after the end of the Second World War. We may never know where some of these pieces are being kept, or indeed if they still exist at all, but that doesn’t stop those of us who love a mystery wondering where these great pieces of art history might be, and hoping they will eventually be seen by the public once again. On August 21st 1909 the Mona Lisa was stolen from the Louvre Museum, an event that made it the most famous painting in the world. 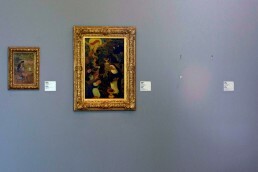 The theft gained the museum enormous media attention and caused an increase in their attendance rate. Thousands of people came to gaze at the empty walls that hosted the painting in the months that followed. The painting was stolen by Vincenzo Perugia who hid in a janitor’s closet overnight and walked out the doors with the hidden painting in broad daylight wearing the museum staff’s uniform. 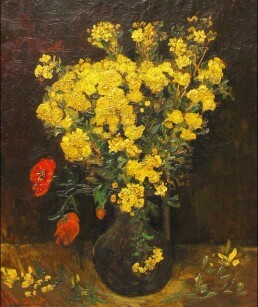 Guillaume Apollinaire and Pablo Picasso were two of the main suspects in the investigation. The painting was returned to the Louvre three years later, where it has been hanging ever since. All image courtesy in captions. I am a History graduate from the UK. Currently, I am working as a freelance writer and have continued my Arabic studies after having spent a year in Jordan and Lebanon.